Peltor knows clear and reliable communication is critical to the success of any operations. Peltor's Military and Special Operations headsets combines ambient listening electronics that will instantaneously suppress dangerous gun shots while still providing clear, continuous communication. These headsets will also amplify in stereo ambient surrounding voices. 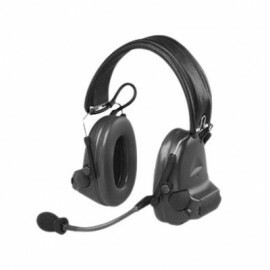 Features slim-line earcups that fit under most military and swat helmets including PASGT, ACH, MICH and TBH helmet systems.